There are two decisive results expected from an effective machine condition monitoring strategy: Uptime and reliability. This is the strategic focus of the Brüel & Kjær Vibro service team. Defective monitoring system installations and incorrect fault diagnoses due to insufficient monitoring know-how often result in unplanned machine downtime. For this reason we developed an efficient customer service management system together with a wide range of service offerings to help avoid this problem. This support model was developed in close cooperation with our customers and renowned industry experts, in order to give customers access to our global network of highly qualified technicians, sales engineers and consultants. This provides you with fast, efficient and reliable service – on-site as well as from remote access. 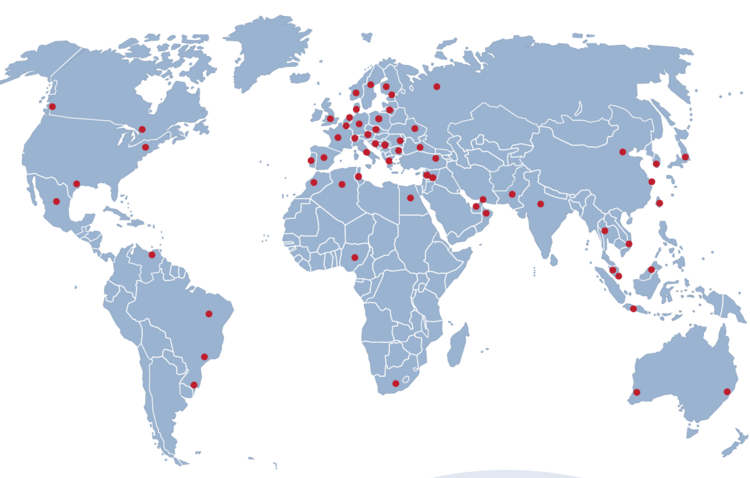 We have a service and support network around the globe! Please contact your local sales representative or our service department in Darmstadt/Germany for more information about your condition monitoring strategy, minimizing machine life cycle costs and downtime of your machines, and optimizing your system utilization and maintenance.